The Blackworks Racing Liquid-filled Fuel Pressure gauge accurately measures the engine’s fuel pressure. 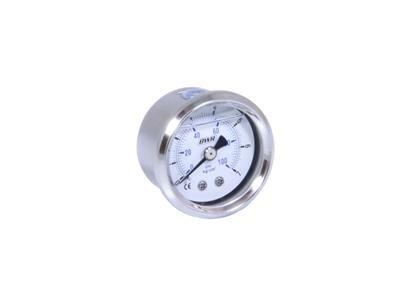 This Liquid-filled Fuel Pressure Gauge is vital to help monitor consistent fuel at all times. These gauges are good from 0 PSI to 100 PSI.